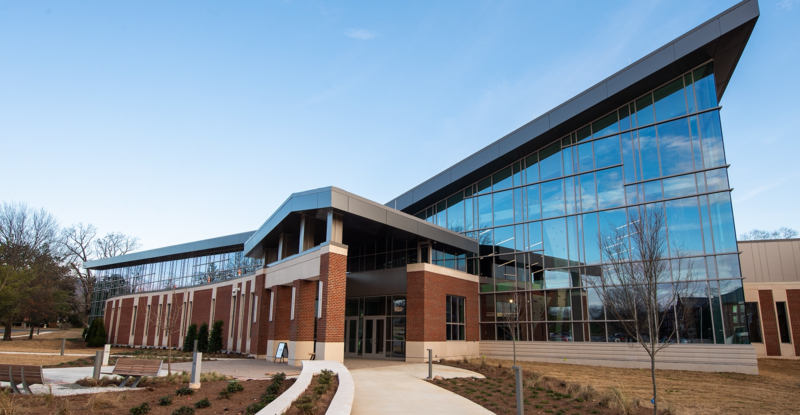 The new JSU Recreation and Fitness Center has been approved for occupancy by the State of Alabama. While a few more construction projects still need to be completed, members may begin using the facility this week during the following limited hours: Monday, Jan. 14 to Friday, Jan. 18, 5-7 a.m. and 4-7 p.m. The indoor pool and the multi-use court will not be available this week, but members can still enjoy the walking track, weights, cardio machines, basketball court, rock wall and a few fitness classes. Operating hours for this weekend and next week will be announced later this week. The goal is for the center to be fully open by Jan. 22. A grand opening celebration will be held for the campus community on Jan. 28 at 1 p.m.